Some of the most getaway-worthy views in San Luis Obispo County (SLO CAL) are best seen from behind the wheel. Grab your keys, sunglasses and partner (two-legged or otherwise! 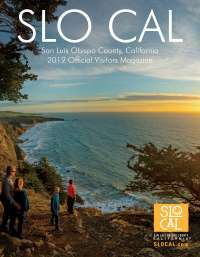 ), and discover the secrets of SLO CAL on a leisurely drive along California&apos;s most iconic drive - Highway 1. With access to restaurants, wineries and breweries, boutiques, flora and fauna, wildlife and views that beg for a pit stop, you&apos;ll see why this autoroute is one of the most justifiably famous (and must-dos) for travelers. 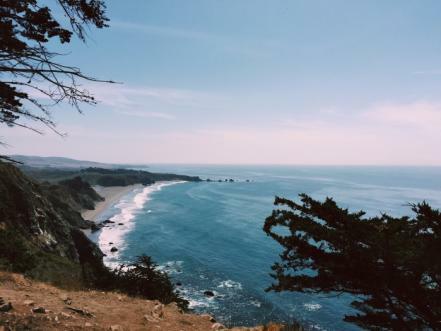 SLO CAL’s 80-mile (128 kilometers) stretch of Highway 1 is all about the landscapes, from the majestic rocky shore off Ragged Point all the way down to the wild, windswept dunes of Nipomo. These views of prime Pacific coastline are prized, loved and highly photographed by locals and visitors alike. On the North Coast of Highway 1, an overwhelming amount of activities exist from whale watching and hiking to art gallery hopping and the majestic Hearst Castle. 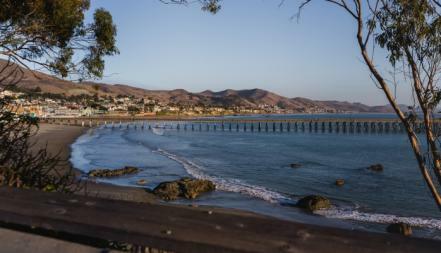 Explore the below cities and towns of SLO CAL&apos;s North Coast along Highway 1. 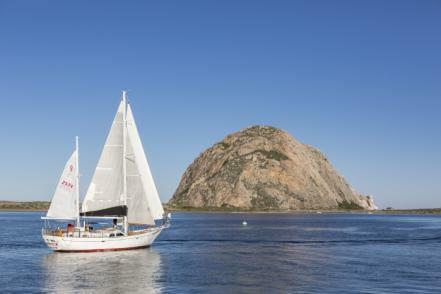 From the bustling Embarcadero to famed Morro Rock, this fishing town works hard and plays hard. Catch glimpses of sea otters, seals, dolphins and whales by kayak or dig into salt water taffy, fresh fish by the pound and local oysters while enjoying views of Morro Rock and the bay. Enjoy this iconic California beach town with miles of pet-friendly beach, fantastic surfing, kayaking and a historic pier. Don’t forget to stop in at the utterly delicious Brown Butter Cookie Company for a sweet treat to enjoy on your road trip. 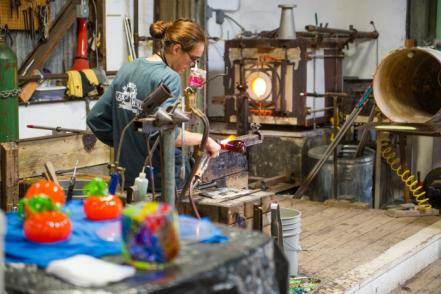 Don’t be fooled by its population size of 18, Harmony packs in glassblowing, wine tasting and a creamery making it the perfect recipe for a quick pit-stop. Stop along Moonstone Beach to watch the waves crash against the shore as the sunset sends colors across the sky. Eclectic art galleries, wine tasting rooms and fine dining masterpieces create an enchanting seaside trifecta amidst Monterey Pines in this hauntingly beautiful coastal village. 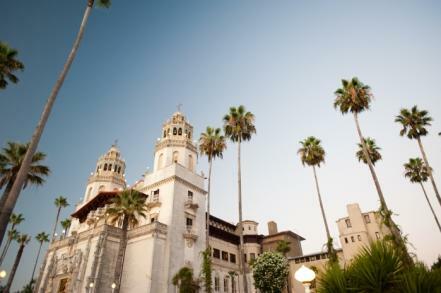 Take a tour of William Randolph Hearst’s glamorous showcase of art, architecture and gardens at Hearst Castle. Be on the lookout for the infamous Hearst Castle zebras that roam just south of the property. Take a much-needed respite from the road by taking a quick hike around San Simeon Point at William R. Hearst State Beach or watch as hundreds of elephant seals mingle, molt and tend to their pups at Elephant Seal Vista Point. These silly seals are a classic Highway 1 wildlife experience! 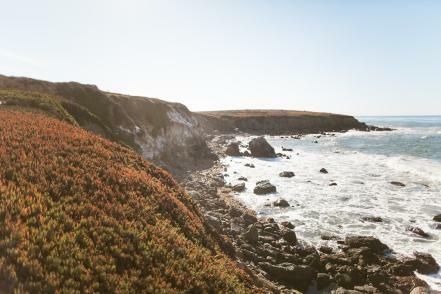 As you&apos;re cruising the PCH, it’s hard to ignore the natural beauty of this heavenly patch of Highway 1. Secluded beaches, churning surf and whale sightings make for a fantastic hiatus from the road. Stop by the Ragged Point Inn to find ‘The Portal to Big Sur,’ a unique wooden sculpture and perfect photo op.